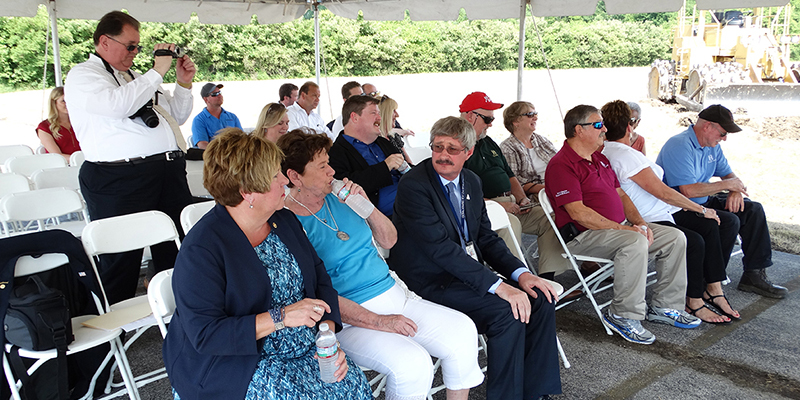 Several community and business leaders recently participated in a groundbreaking for the Hazelwood TradePort (HTP). 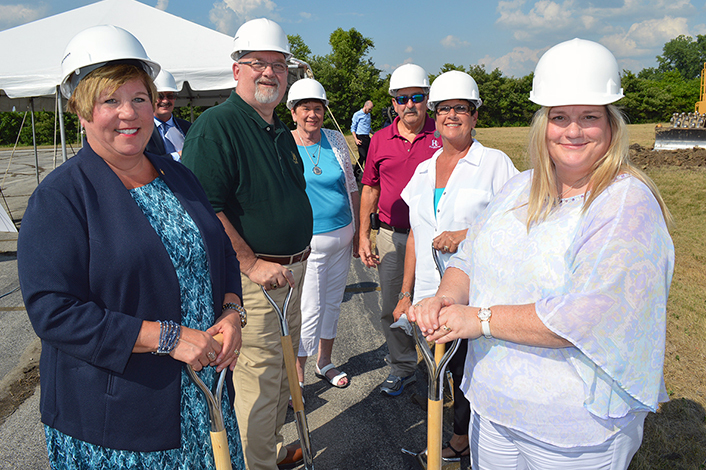 The new industrial business park, which is one of five in the City of Hazelwood, is a 325-acre development tract with the potential to support up to 4 million square feet of new construction. NorthPoint Development is the developer. The event marked the first of two industrial buildings to be constructed. The first structure, featuring a ceiling height of 36 feet, is slated for completion in the fall of 2018. Both facilities will total nearly 750,000 square feet. In all, NorthPoint plans to build eight buildings. 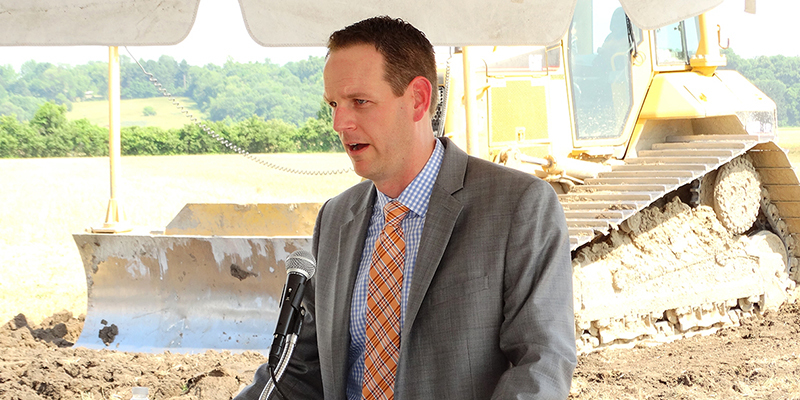 “The value of the abatement for all eight buildings may be about $55.5 million,” Hazelwood Economic Developer David Cox said. The Hazelwood City Council played a key role by approving several resolutions that issued approximately $50 million in Chapter 100 industrial revenue bonds which will facilitate up to 18 years of tax abatement. This also includes a sales tax exemption on construction materials. Hazelwood used tax abatements and other development incentives for NorthPoint when it acquired the Hazelwood Logistics Center (HLC) in 2015. At the time, HLC was foreclosed on and in need of environmental clean-up. NorthPoint is credited with resurrecting HLC by completing nine large industrial buildings in three years. Its economic impact to the region consists of 1.9 million square feet of warehouse/office space, the creation of more than 1,817 jobs and a capital investment of about $109 million. The St. Louis Business Journal recently selected the Hazelwood Logistics Center as a 2018 Building St. Louis Award recipient. It was chosen as one of three finalists for the public/private project more than $10 million award category. NorthPoint estimates HTP will produce more than 3,000 jobs and approximately $240 million in capital investment. Over the years, the City of Hazelwood has earned the reputation as being the economic engine for the North St. Louis County area because of its strong industrial base. It is the home to several U.S. and foreign corporations, including three large biotech firms — Covidien Healthcare, bioMérieux (France) and Aesculap (Germany). There are 14 Fortune 1000 companies operating in Hazelwood as well. 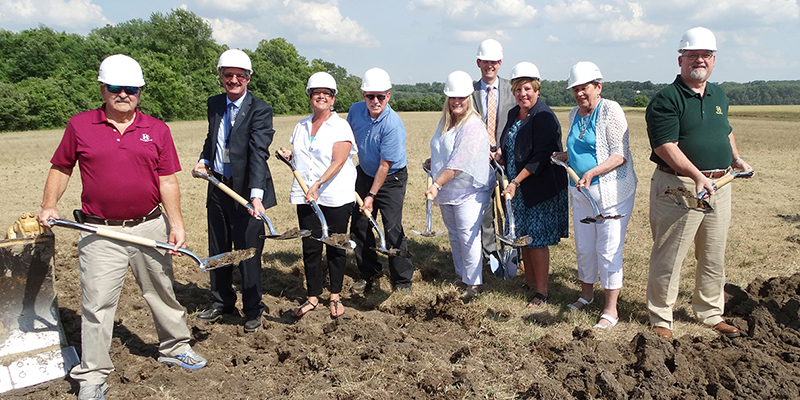 The addition of HTP adds another cylinder in Hazelwood’s engine block to help fuel more growth in jobs and businesses operating in the North County area. This not only has a positive ripple effect on the whole St. Louis County region, but it gives the State of Missouri more leverage to attract businesses in a highly competitive global marketplace. Located just north of St. Louis Outlet Mall in St. Louis County, all HTP buildings and roads will be elevated above the 500-year flood plain.